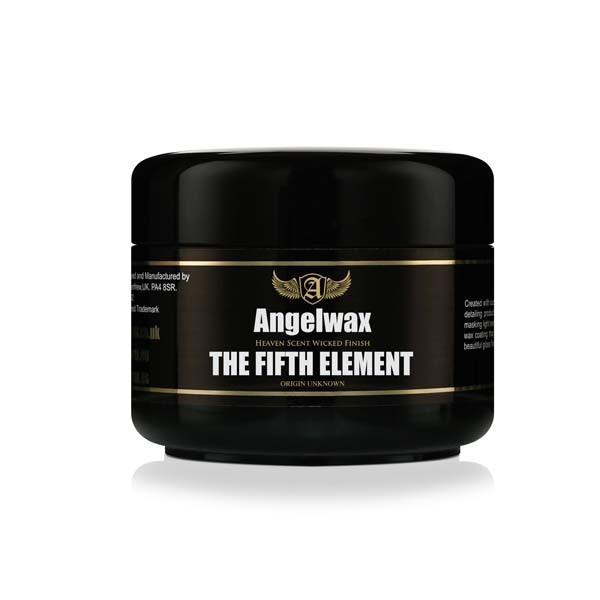 THE FIFTH ELEMENT from Angelwax is our high endurance show wax formulated using a blend of four natural waxes, passion fruit oil and a mysterious fifth element! This mystery element is the key to this brilliantly crafted detailing wax that offers both, outstanding gloss depth and immense durability never before seen a show wax. THE FIFTH ELEMENT has been rigorously tested in our laboratory and by Angelwax detailing centres throughout the world to ensure that this hand poured wax performs beautifully on every type of gloss paint surface.